Now Man's Best Friend Can Help! Ashgate Hospice is very excited to bring you a new event this year, especially for man's best friend! You and your dog are invited for sponsored "walkies" in Linacre Woods to help raise vital funds for Ashgate Hospice. The beautiful 4.5 mile route will begin at Ashgate Hospice and take you round a circular route through Linacre Woods and back to the Hospice. Plus, as a special thank you to your lovely dog for their effort and generosity, they will receive a special medal they can wear on their collar with pride, plus a goody bag just for them! How do you register for Woofs and Wellies? 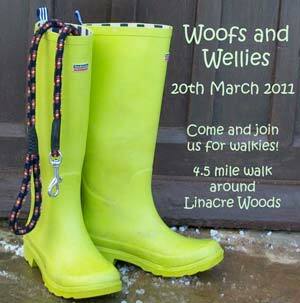 There are a number of ways you can register for Woofs and Wellies. 1. 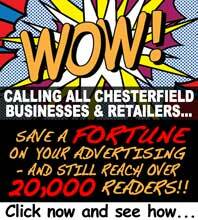 You can register online at Ashgate's brand new Events Website and pay your £5 registration fee online through Paypal. 2. You can also view and print an entry form from the Events Website and post it to them. 3. Alternatively, you can request some entry forms to be posted to you by calling the Fundraising Team at Ashgate Hospice on 01246 567250 or e-mail: alison.ward@ashgatehospice.nhs.uk. Ashgate Hospice really hopes to see you and your friend there!